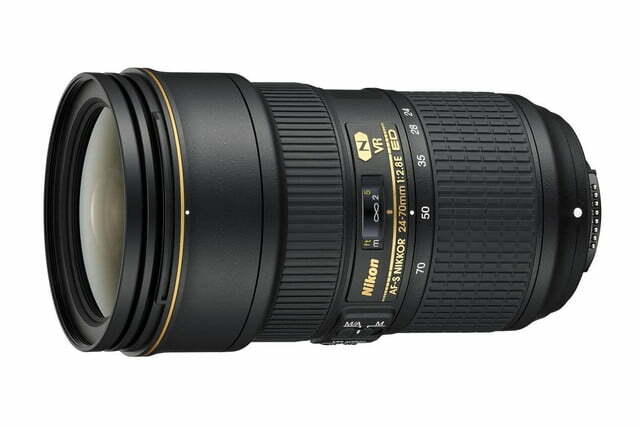 Nikon unveiled three new FX-format DSLR lenses on August 4, aimed at pros and enthusiasts. 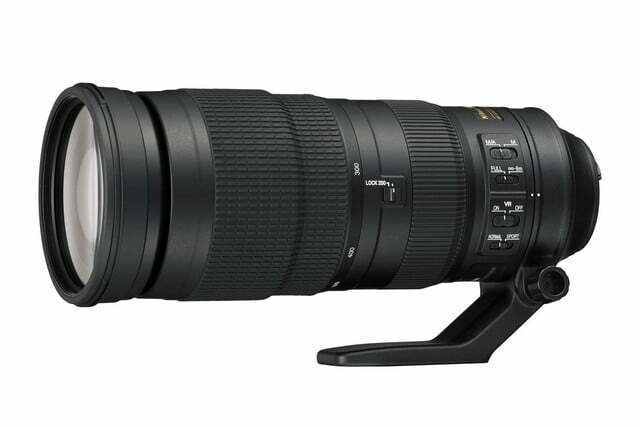 These include the AF-S Nikkor 24-70mm f/2.8E ED VR ($2,400), AF-S Nikkor 200-500mm f/5.6E ED VR ($1,400), and AF-S Nikkor 24mm f/1.8G ED ($800). 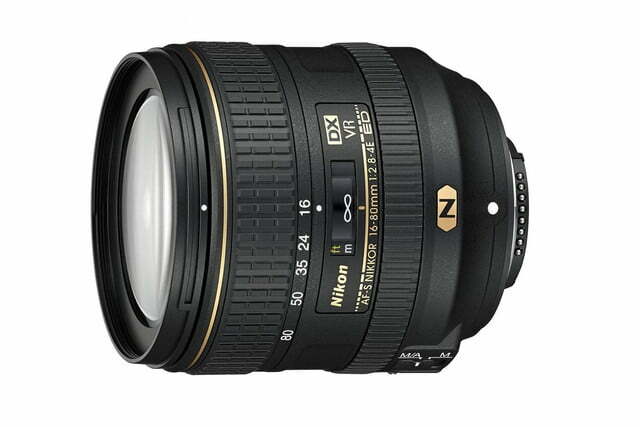 The 24-70mm lens, with its f/2.8 constant aperture, is a second-generation variant of a popular model among pro photographers, released in 2007. The new lens has Vibration Reduction image stabilization (IS) built in, with up to four stops of IS — perfect for wedding or news photographers who are moving around and handholding their cameras. The lens also has automatic tripod detection, making it a flexible lens for action shots, portraits, or landscapes. The lens also has an electronic aperture control that “allows for consistent exposures during high-speed bursts of shooting,” Nikon says. It also has a new optical construction that includes an Aspherical Extra-Low Dispersion element — paired with traditional lens elements (total of 20 elements in 16 groups, with a nine-blade diaphragm for enhanced bokeh) — for “beautiful balance of sharpness and subtle blur effects, virtually free of flare, ghosting, coma and chromatic aberration throughout the frame.” As with most Nikon lenses, there’s Nano Crystal Coat to reduce ghosting and flaring. The 24-70mm is weather sealed, with fluorine coating on the front and rear lens elements to make it easier to wipe off dirt, moisture, and smudges. The lens has a new 82mm filter diameter that’s compatible with Nikon’s new CPL2 Circular Polarizer and Neutral Color (NC) filters. The lens will go on sale in late August. 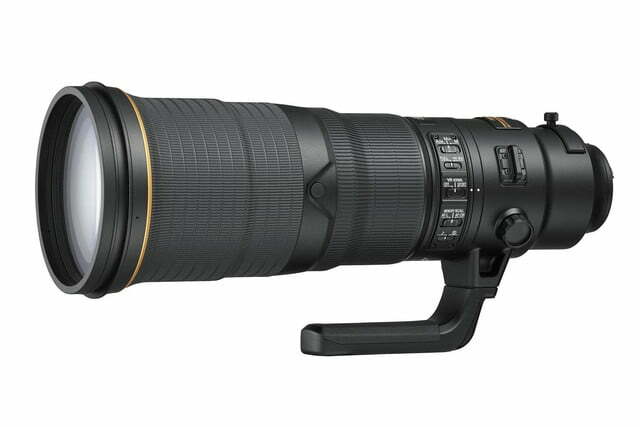 The 200-500mm is a compact super-telephoto lens (4.2 x 10.5 inches) that weighs 5 pounds. Ideal for bird watching, sports, wildlife, and motorsport photography, the 200-500mm, with a constant aperture of f/5.6, will also work on DX-format DSLRs (300-750mm equivalent). It has the new aforementioned Electromagnetic Aperture, and 4.5 stops of Vibration Reduction and a Sport Mode image stabilization for fast-moving action. Silent wave motors allow for quiet operation during video recording. It can focus up to 7.2 feet, comes with a newly designed hood, a tripod collar that spins around the lens, a new 95mm filter diameter compatible with 95mm NC and Circular Polarizer CPL2 filters, and it’s compatible with 1.4x, 1.7x, and 2x E-series Teleconverters for extended reach. 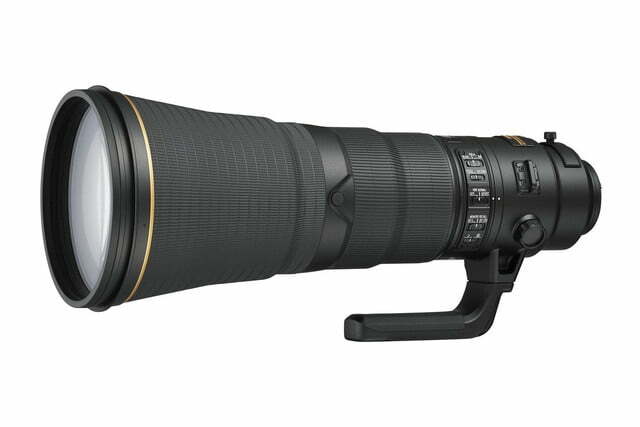 At less than $1,500, the 200-500mm opens up super-telephoto photography to amateurs and enthusiasts. It’s available in mid-September. 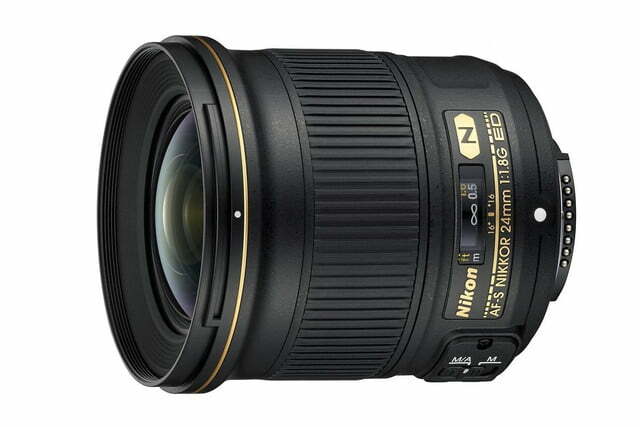 Lastly is the 24mm, the newest addition to Nikon’s series of f/1.8 prime (fixed) lenses. It has a conventional non-electronic aperture design, but it’s an affordable prime with a fast aperture. It’s almost identical in size and weight to the 20mm and 28mm f/1.8 lenses, and Nano Crystal Coat and ED and aspherical lens elements for sharp photos with minimal ghosting and flaring. The 24mm will go on sale in mid-September.